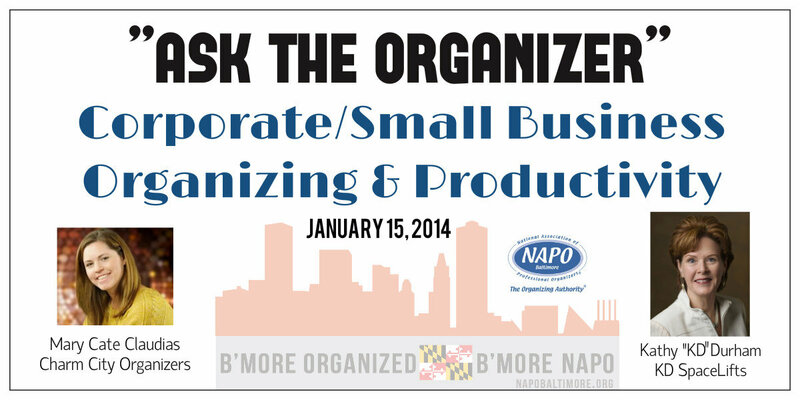 On January 15th, our very own KD Durham and Mary Cate Claudias will lead us through an “Ask the Organizer” panel focusing on Corporate/Small Business Organizing & Productivity. If you are considering growing your business by servicing clients in the corporate and small business arena, then you won’t want to miss this! Kathleen "KD" Durham, founder and president of KD SpaceLifts, feels she was destined to have a career as a professional organizer. KD SpaceLifts is dedicated to helping businesses improve efficiency and productivity through the organization of intangible spaces (workflow, systems, processes and procedures) as well as tangible spaces such as the physical workspace. Throughout her business career, KD found herself regularly in the middle of redeveloping, repositioning or rewriting job methods, practices, processes and procedures associated with individual, group and developmental work flows. KD also serves as our chapter’s President, but you already knew that! 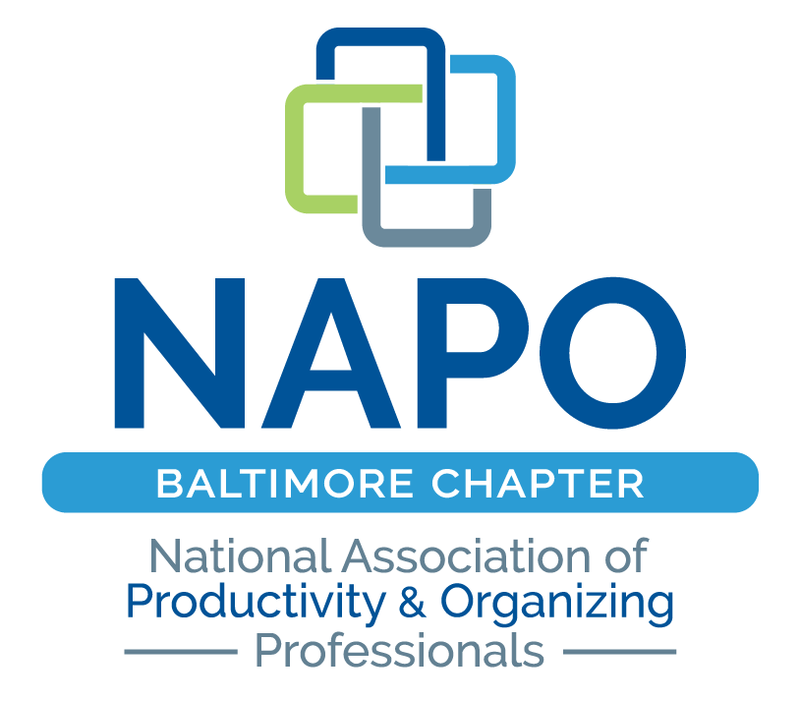 Mary Cate is the founder / CEO of Charm City Organizers, a professional organizer, and a productivity consultant. She specializes in home offices, small business settings, and time and task management. In the last few years, as more businesses have been established by new entrepreneurs, Charm City Organizers has expanded to help businesses as well. MC and her team work with busy executives and small businesses to help them organize their offices, at home and the classic office setting. They help their business clients establish better time management strategies in the process.